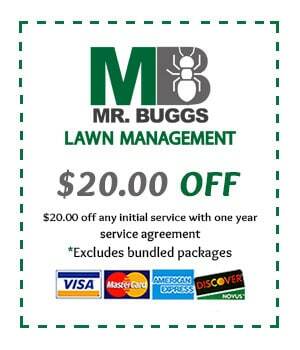 This time of year, pests will begin to start the process of overwintering. Overwintering is an insect’s natural way of preparing itself to survive the upcoming colder temperatures. This may include both physical and biological preparations. In the case of some insects and animals, this could involve migration, which is the process of physically moving from a colder climate to a warmer climate during the colder winter months. However, when migration isn’t an option, other insects will actually prepare their bodies for hibernation; where an animal or insect will burrow or hide in a warm area and actually physically put itself into a sort of “dormant” state. During this dormant state, the insects metabolic processes are slowed to the point that the insect is essentially in a deep sleep. This minimizes the insect’s need for energy expenditure, and therefore it is able to survive long stretches of cold weather using only the nutrients it stored in it’s body during the warmer months. Why is this important to us as homeowners? Because, unfortunately, our homes or businesses can provide the perfect shelter for insects to spend the colder winter months. As the temperatures begin to drop, insects will instinctively begin looking for suitable environments to not only harbor themselves, but in some cases, they will actually be looking for a place to lay and store their eggs as well. This could then pose a problem the following spring as these eggs will begin to hatch in or around your home. So, how can we protect our homes from these occasional invaders? The best type of insect prevention is exclusion. Simply put…if you can eliminate an insects access to your home, you can eliminate the potential for overwintering in or around your home. 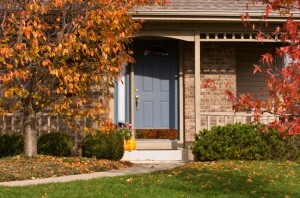 This can be done insuring that all windows and doors are properly sealed or caulked, by adding door sweeps to the bottom of doors where any light can be seen coming through, placing hardware cloth or mesh screening over any openings such as gable or laundry vents, and by eliminating clutter around the home that could be used as harborage. This could include stacked wood or lumber directly adjacent to the home’s exterior, excessive mulch or pine straw, or any personal items stored outside the home that could provide adequate shelter from the elements. Implementing these few simple maintenance tips around your home this time of year could greatly reduce the potential for future insect issues. 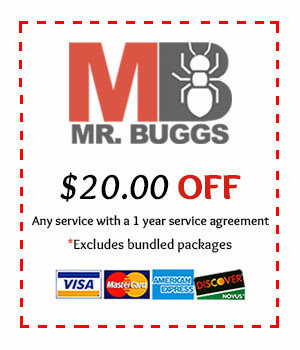 For any infestations that are already present, contact Mr. Bugg’s Pest Patrol for a FREE home evaluation.